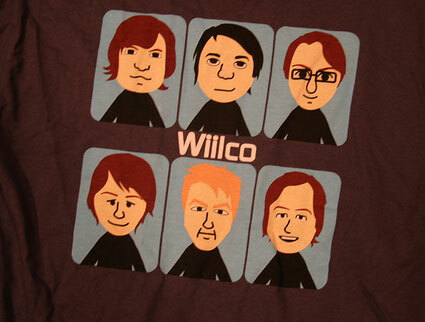 Oh, man… Two of my favorite things (around here) all mashed up: Wilco and the Nintendo Wii. This entry was posted on Sunday, June 24th, 2007 at 8:49 am	and is filed under video games, wilco. You can follow any responses to this entry through the RSS 2.0 feed. Both comments and pings are currently closed. Wow — I second that emotion. Let me know if you get a hold of one. Oh — and you heard they’re coming to Millennium Park, right? Kot had the scoop.